Sam Nunberg’s two in-person interviews (on CNN and MSNBC), and his phone-in to Katy Tur, were classic counter-examples of how to handle oneself with the media. Nunberg ranted, raved, whined, and played the martyr, leading those on both sides of the aisle genuinely concerned for his well-being. Nunberg could have made some solid points for his side in these interviews. He could have made his decision not to comply with the Mueller team’s subpoena about something besides how long it would take to compile the emails. (Full disclosure – I have twice had to provide emails for ethics investigations while working in Congress. It’s a pain, and is time-consuming, but it’s not the burden he claims. And, it is by no mean a legitimate reason to not comply). However, he did the exact opposite of what he probably wanted. Not only did he make it seem that he has something to hide – he also implied that he had information that would implicate Roger Stone as well. And, I can’t imagine anyone in the GOP is happy with his statement that Mueller probably has something on Trump related to “his business,” or that he assumes then-candidate Trump knew about the famous Trump Tower meeting before it occurred. 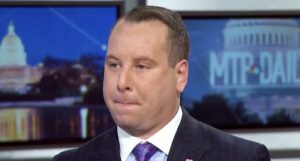 If I were advising Nunberg before the interviews, I would have insisted that he set a more reasonable time limit for them (he spent more than 30 minutes each with Erin Burnett and Ari Melber). I would have told him to have three specific reasons why he was not complying (for example “I’m happy to comply in general, but I don’t think this request is reasonable,” “I believe the investigators already have this information,” “I have concerns that information I provide will be used unfairly and outside the scope of the investigation”). And I would have him ready for the toughest questions, instead of just bantering with the interviewers and asking them what they think is going to happen. If he were my client now, it’s a tougher case. I’d probably suggest he does comply with the subpoena in some way (negotiate a smaller information request, appear at the hearing, etc.). Then I’d suggest a press conference or specific interview outlining why he changed his mind, what he will and will not do with the investigation, and how he believes that neither he nor Stone have done anything wrong. I might have him start by saying he reacted in the heat of the moment, and upon reflection he sees ways he can comply with Mueller’s team. If he refuses to comply in any way, he would need to find a better rationale than “it’ll take too long to go through these emails.” He would also need a respected legal adviser who would be willing to publicly say that Nunberg has a leg to stand on. He would need to come up with a reason for non-compliance that doesn’t sound like he just doesn’t want to face the music. And, he’d probably need to find another media adviser.